Anthonisse, J.M, & Tijms, H.C. (1977). 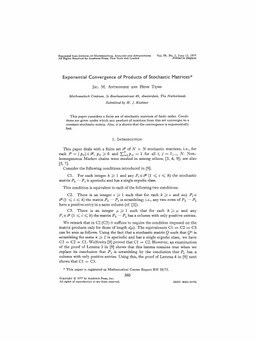 Exponential convergence of products of stochastic matrices. Journal of Mathematical Analysis and Applications, 59(2), 360–364.